PERFORMER – Vocalist / Guitarist. 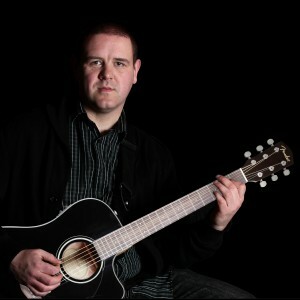 Jon Chapman, is self-contained and performs with backing tracks. He can also perform part of the set on guitar and/or bass guitar along with the tracks. (Dependent on the setlist being performed). Alternatively, Jon can perform acoustic sets with guitar (ideal for restaurants, bars etc). Jon primarily covers North England & North Wales, but is also available for travel. Jon is also an experienced function DJ. With a massive collection of tracks from the 1950’s up until current chart hits, Jon is an ideal DJ for Weddings, Birthdays, Christenings and more. Jon can also include Karaoke so that your guests can interact and really loosen up. If you prefer the excitement and energy of a Live Band, then ‘Jon Chapman’s Rhythm & Soul Band’ is a perfect choice for Weddings, Functions, Festivals and Corporate work. PERFECT FOR A RANGE OF VENUES AND FUNCTIONS. Booking Jon Chapman for your event will ensure a great night is had by all, and can also be a great money saver if you opt to have him as a performer and the DJ. To listen to audio demo’s, please click the link below. Alternatively, to find out more about the services we offer, use the main navigation menu. ‘Jon Chapman’ is a trading style of Jon Chapman Music.